Did you know that over 40 million people, worldwide, are affected by Rosacea? We didn’t either! However, we did know that our dear friend, Lara, was affected by Rosacea and in listening to her struggles we understood that this skin disorder brings with it a lot of frustration, confusion and questions. With that, TME turned to Board Certified Dermatologist, Dr. Marnie Nussbaum for some insight and answers. TME: It’s our understanding that there are several types of Rosacea. Can you elaborate on this? Dr. Marnie Nussbaum: Rosacea is most often characterized as redness or bumps on the face. However, there are so many other symptoms that we need to break it down into four subtypes. A person with subtype 1, Erythematotelangietatic rosacea, will have persistent redness, flushing, and visible blood vessels on his or her skin—most often on the face. In subtype 2 cases, Papulopustular rosacea, the skin will be red, swollen, and have bumps similar to acne. Patients with subtype 3, Phymatous rosacea, will experience bumpy and thickened skin. In subtype 4, Ocular rosacea, a person will have red, burning, and noticeably irritated eyes. Dr. Nussbaum: Many people who are diagnosed with Rosacea have relatives with similar symptoms, but there are currently no scientific studies that confirm whether or not it is directly linked to genetics. Is there a demographic that is more prone to Rosacea? Dr. Nussbaum: Yes, people who have fair skin and blush easily are more prone to Rosacea. This disease is more common in women, but often time’s men who are diagnosed will experience more severe symptoms. What can cause a Rosacea “flare-up”? Dr. Nussbaum: Flare-ups can be caused by any number of things and must be identified by the individual. Most often patients will find that stress, the weather, and certain foods will contribute to their triggers. Are there specific foods that Rosacea suffers should avoid? Dr. Nussbaum: Depending on the individual there may be certain foods that cause one’s Rosacea to flare-up. A few trigger foods include citrus fruits, avocados, and anything spicy or high in histamine. Cosmetics would be a logical item to reach for when one is experiencing an issue with Rosacea. Are there particular cosmetic ingredients that Rosacea suffers should stay away from? Dr. Nussbaum: If a person has Rosacea and must use cosmetics it is best to use products that are fragrance-free. Before making a purchase it’s important to look at the ingredients and test the product on a small area of skin to make sure you don’t have any kind of reaction. However, in all cases with Rosacea it is best to use the least amount of products as possible. Is there a specific skin care regimen that you recommend to get, and keep, Rosacea under control? Dr. Nussbaum: Absolutely, I recommend using Sebamed’s Liquid Face and Body Wash, which is an ultra-mild 2-in-1 face and body wash that will restore skin's pH balance of 5.5 while it gently cleanses. When you’re ready to rinse off the body wash make sure to use lukewarm water and then pat your skin dry with a soft towel. If you have Rosacea and use extremely hot or cold water, or wipe your skin dry this will most likely cause a lot of irritation. After you’ve finished cleansing wait about 15-30 minutes before applying any topical medication to your skin in order to avoid the stinging or burning sensation. TME hopes that the answers shed a little light on Rosacea. We recommend that you stop back for part deux -- “Real Tips For Dealing With Rosacea Part Two:The Experiment” for an interesting journey into the products that help alleviate symptoms and cosmetics that can see you through a flare up and beyond. About Dr. Marnie Nussbaum: Dr. Nussbaum graduated with honors and distinction from Cornell University. She attended Weill Cornell Medical College in Manhattan, where she was the recipient of the James Metcalf Polk Award. She also served as President of Alpha Omega Alpha. 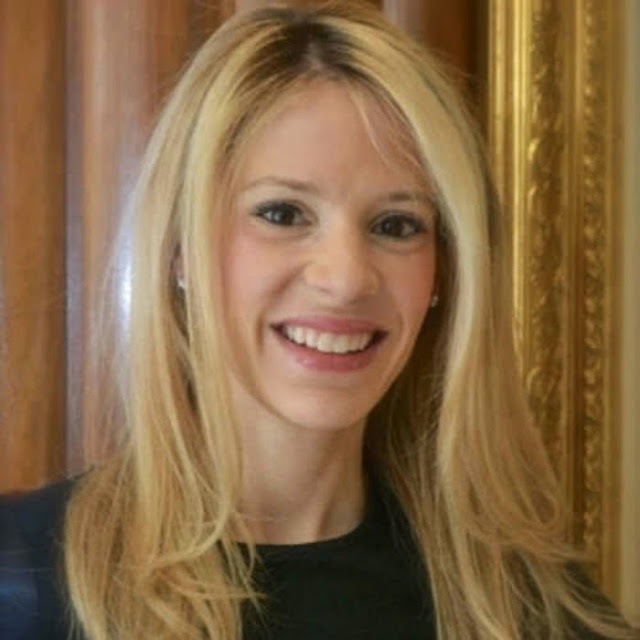 Dr. Nussbaum completed her internship training in Internal Medicine at Memorial Sloan Kettering Cancer Center, and her residency in Dermatology at Weill Cornell-New York Presbyterian Hospital, where she served as Chief Resident in Dermatology. Among her numerous awards are the Outstanding House Staff Award and the Women in Science Award. Dr. Nussbaum is currently in private practice on the upper east side of New York and is the Chief Medical Spokesperson for Sebamed. Note: A very special thank to Dr. Nussbaum for taking time from her very busy schedule to share her expertise with TME readers!